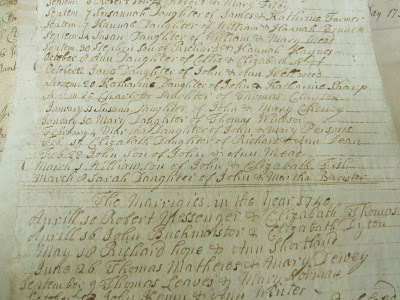 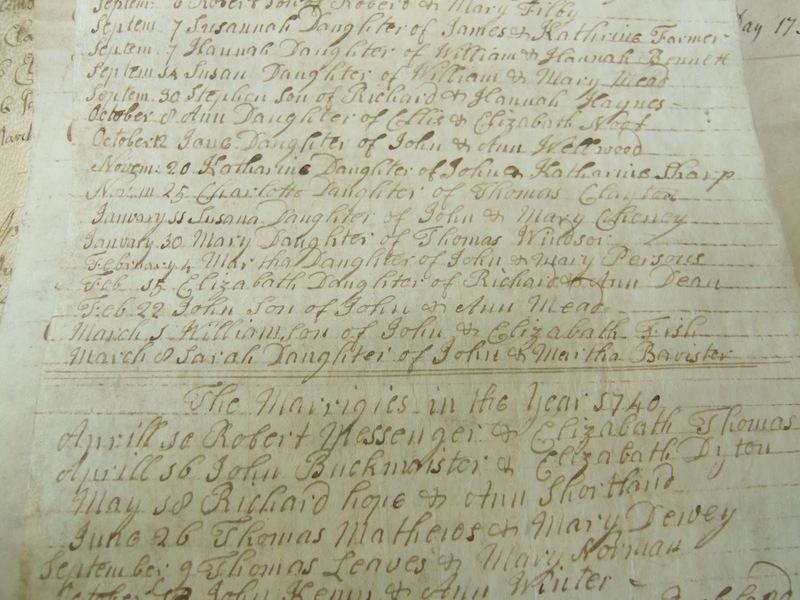 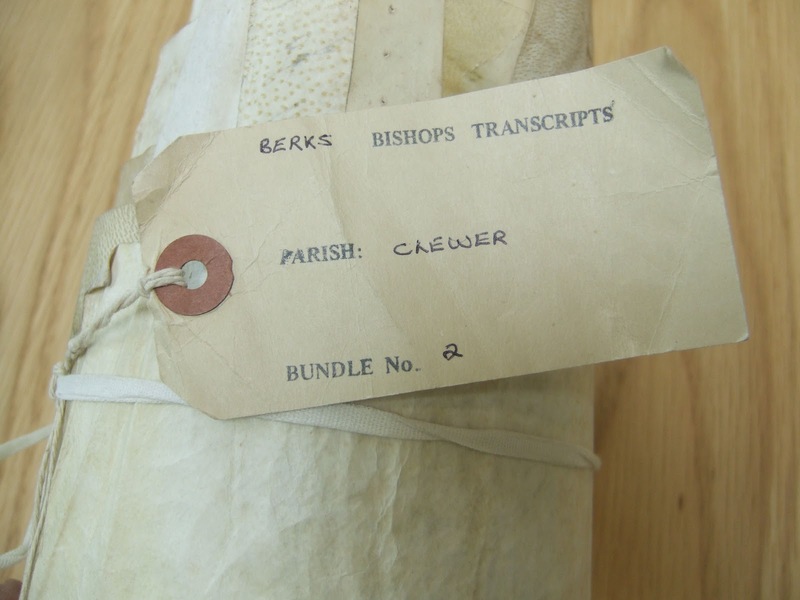 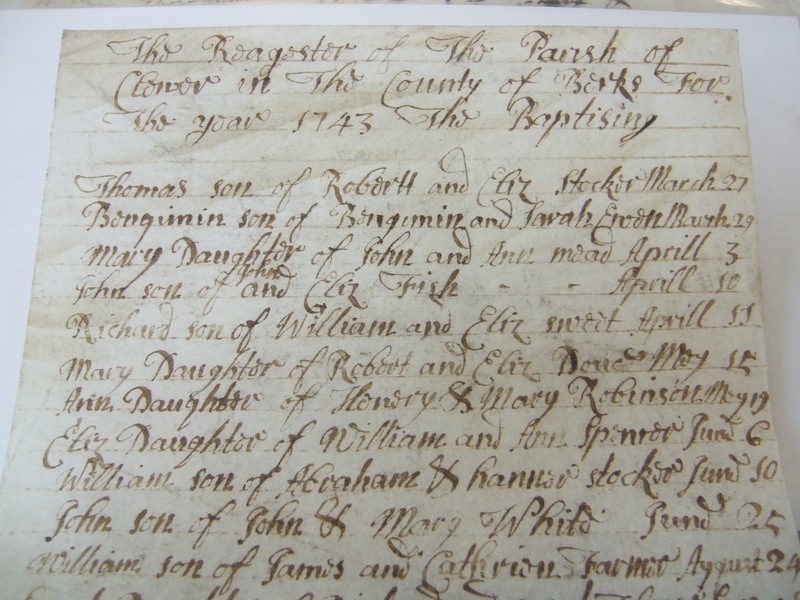 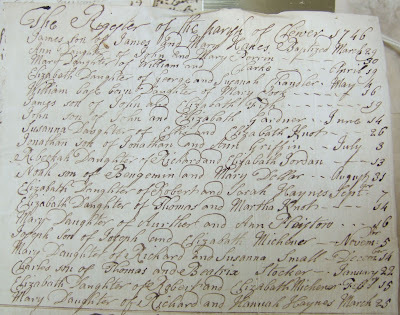 These are the earliest physical records of our Fish Family, recorded in the Bishops Transcripts of St Andrew's Church Clewer, held in the Wiltshire Record Office in England. The record is on sheepskin Parchment. 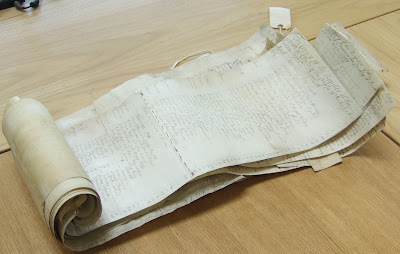 The parchment is in excellent condition considering it has survived since 1700. 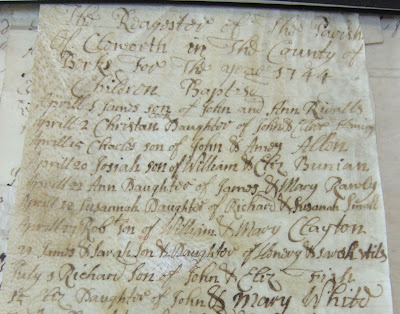 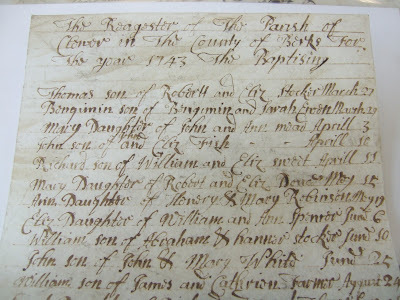 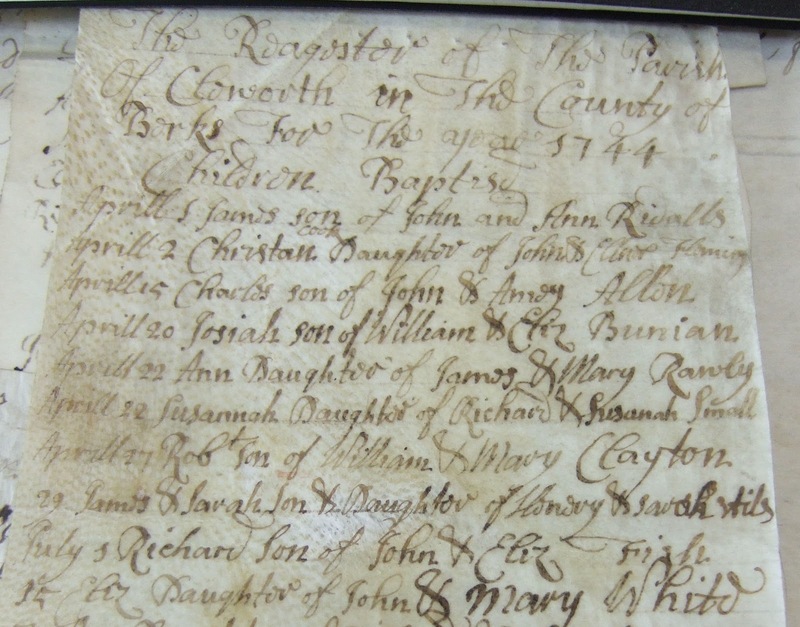 "1 March 1741 William son of John & Elizabeth Fish"
"John son of John and Elizabeth Fish 10 April 1743"
"July 1 1744 Richard son of John and Elizabeth Fish"
"James son of John & Elizabeth Fish 19 May 1746"